Cialis is the brand name of tadalafil which is used to treat erectile dysfunction in men. It is marketed by Eli Lilly and Company. The Food and Drug Administration approved Cialis for sale on November 1, 2003 and again in 2009 as a treatment for pulmonary arterial hypertension, making it the only erectile dynfuction pill that is also used as a once-daily medication. Tadalafil used for this purpose is marketed under the name Adcirca. What does Cialis look like and what does it do? 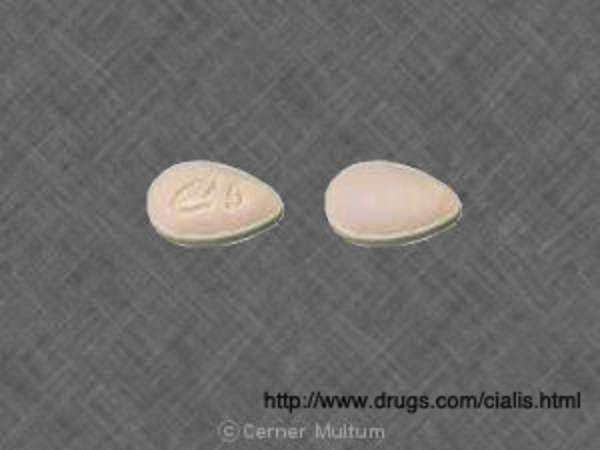 Cialis comes in doses of 5, 10 and 20mg as is a yellow, almond-shaped pill. Medications such as Cialis inhibit the PED5 enzyme which allows more blood flow to the penile area and relaxes arteries. Cialis differs from other medications in that it is effective for nearly 36 hours, significantly longer than its competitors, which also merits its consideration as a treatment for hypertension. What are some risks of taking Cialis? There are common side effects of taking Cialis, including aches and pains and the widening of blood vessels, but these symptoms tend to relax after a few hours. Patents taking nitrate medication can also experience an unsafe drop in blood pressure and this fact is noted prominently in Cialis advertisements. Cialis and other erectile dysfunction medication were thought to cause vision impairment and blindness, but the FDA found no indication that the drug created an above average risk for the condition. Warning labels have since been amended acknowledging a possible correlation between developing vision impairment and use of the drug. The chance of vision impairment occurring with Cialis remains rather low. A small number of patients have also experienced hearing loss which led to further FDA warnings in 2007. Approximately one third of the incidents were temporary which has led the FDA to investigate a possible relationship between the drug and hearing loss. Am I eligible for damages from taking Cialis? Although Cialis remains on the market, one may be able to prove that they were not made sufficiently aware of the dangers associated with taking the drug. In these situations, you may make the case for misleading advertising, although most issues with Cialis are carefully explained in their advertising. You may have a better case if your doctor prescribed Cialis without noting the potential danger of taking the drug and its permanent side effects. If you have taken Cialis and were not informed of potentially damaging side effects, an attorney will be able to help you build a case for damages.